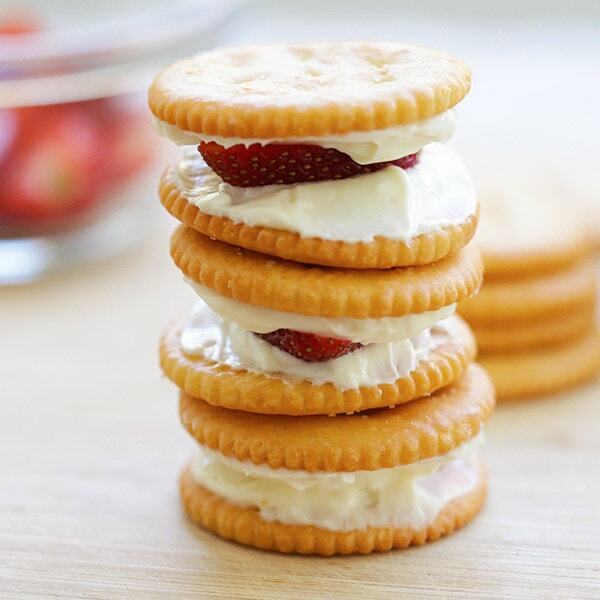 Strawberry Cheesecake RITZwich - no-bake strawberry cheesecake sandwich using RITZ crackers. 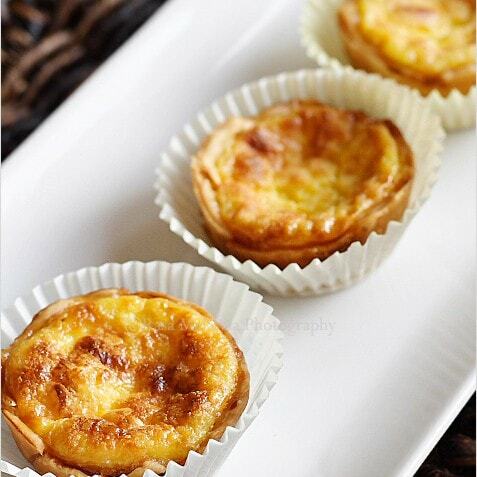 Quick and simple snack anytime of the day! One of little G’s favorite snacks is RITZ crackers. I always stock up boxes of RITZ crackers whenever I shop at Cypress Village Albertson’s in Irvine. He always enjoys the crackers whenever he wants a quick snack. While he loves the plain RITZ crackers, I like to experiment with the endless possibilities of using different ingredients, for example, you can “Stack It Up” to make RITZwiches, both sweet and savory, and they are always delightful. I love no-bake strawberry cheesecake so here is my fun idea of turning your regular RITZ crackers into these dainty strawberry cheesecake RITZwiches that you and your little ones just can’t stop munching. What I love about the RITZwiches is that I can make them in a jiffy any time of day, using only a few ingredients: cream cheese, strawberry and condensed milk. If you don’t like sweet RITZwiches, fret not, as there are many amazing savory recipes that you can try, such as Quesadilla Fresca Ritzwich below. All you need are RITZ Crackers! RITZ believes that living a rich life doesn’t come as a result of the size of a bank account, but from shared moments, relationships, and interactions you have with those who matter most. I enjoy the mother-and-son bonding time with little G as we “Stack It Up” together to make the strawberry cheesecake RITZwiches. Strawberry Cheesecake RITZwich - no-bake strawberry cheesecake sandwich using RITZ crackers. 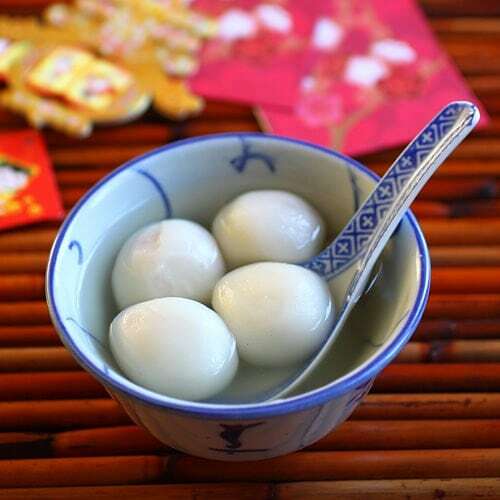 Quick and simple snack anytime of the day. 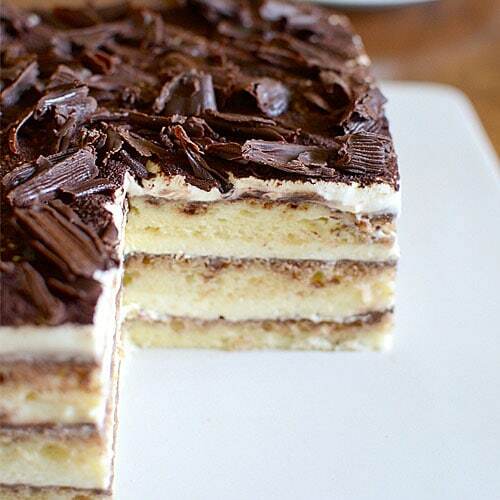 Mix the cream cheese, condensed milk and lemon juice together with a whisk. Set aside. To make the RITZwich, spread some of the cream cheese mixture on two pieces of RITZ crackers. 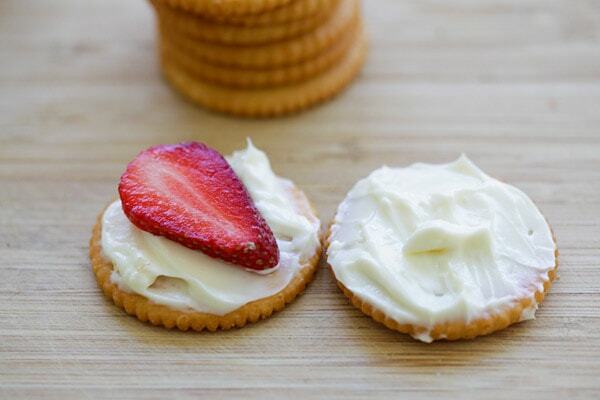 Add a slice of strawberry on top of one cracker and top with another cracker. Repeat the same until you use up all the crackers. All photos and recipes on Rasa Malaysia are copyright protected. Please do not use the photos and recipes without prior written permission. If you wish to republish this recipe, please rewrite the recipe in your own words instead of copy and paste and link back to //rasamalaysia.com/strawberry-cheesecake-ritzwich/. Thank you very much! What fun! A simple recipe for a snack a small child will actually like–never met one who didn’t love Ritz! I’ll try it on my DH–a man who still answers to his inner child. All of your recipes look amazing can’t wait to start cooking. Hi Wanda, thanks for your sweet comment. Happy cooking!